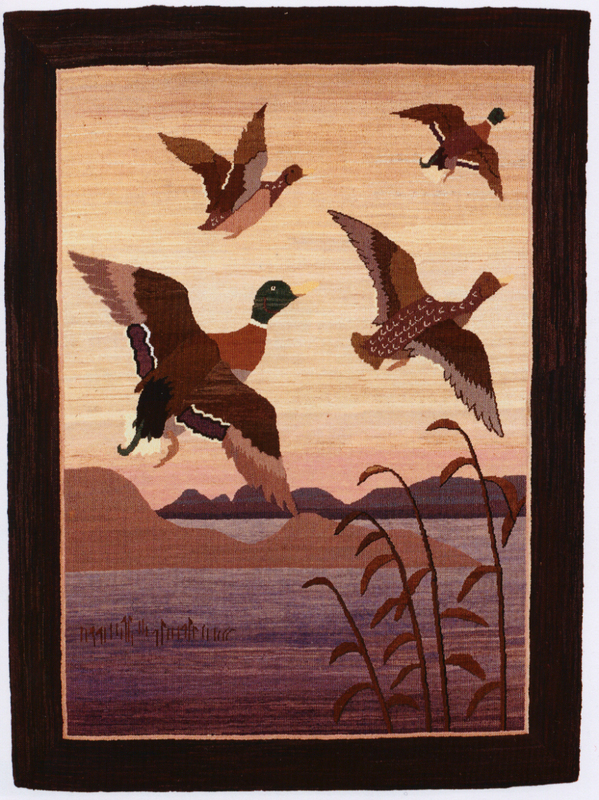 The April 2000, Bowmanville Antiques and Folk Art show was a special year in that it featured the show and sale of a large collection of the work created by artisans of the Grenfell Mission of Newfoundland. 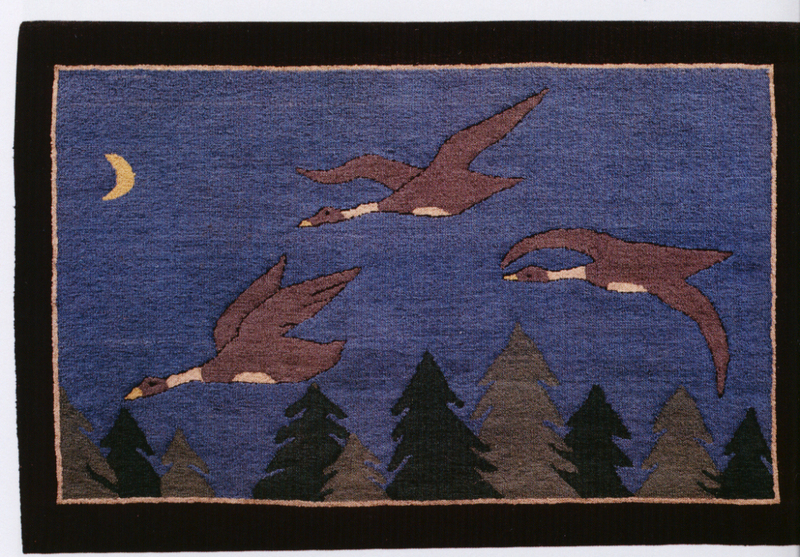 The collection of about two hundred pieces was accomplished over a twenty year period of dedicated searching by Ontario collector Robin Moore, and the sale was organized by her friend and mentor, quilt and fabric specialist Carol E. Telfer. 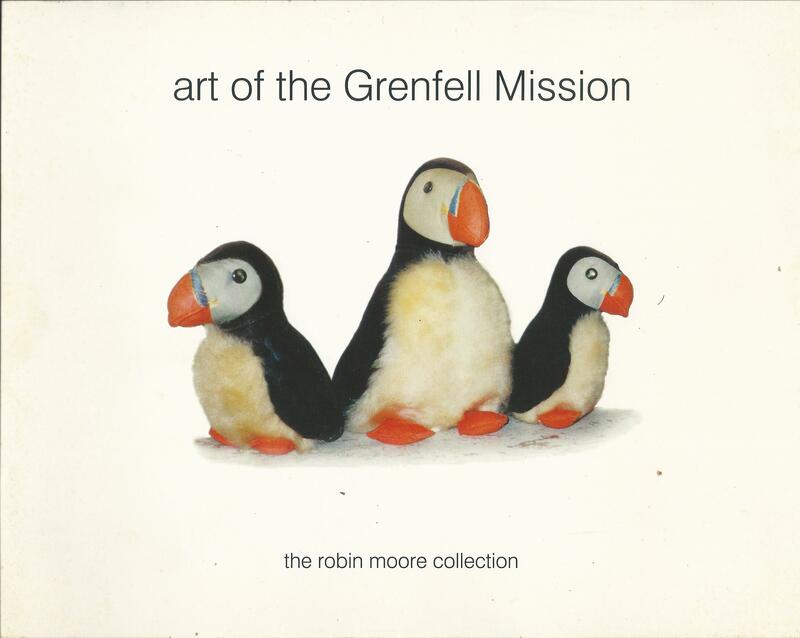 A beautifully illustrated, 45 page catalogue “art of the Grenfell Mission, the Robin Moore collection” accompanied the show. The collection was offered to be sold only in its entirety. In her opening comments Robin Moore suggests “ Michael Rowan, an old antiques buddy, has always maintained that antiques are on loan to us – we are their custodians for a period of time. It has been my pleasure to have been the custodian of this truly marvelous legacy of the people of northern Newfoundland and Labrador, which I humbly refer to as “my Grenfell collection.” The time has come to pass it on to the next custodian – to love cherish, and preserve. 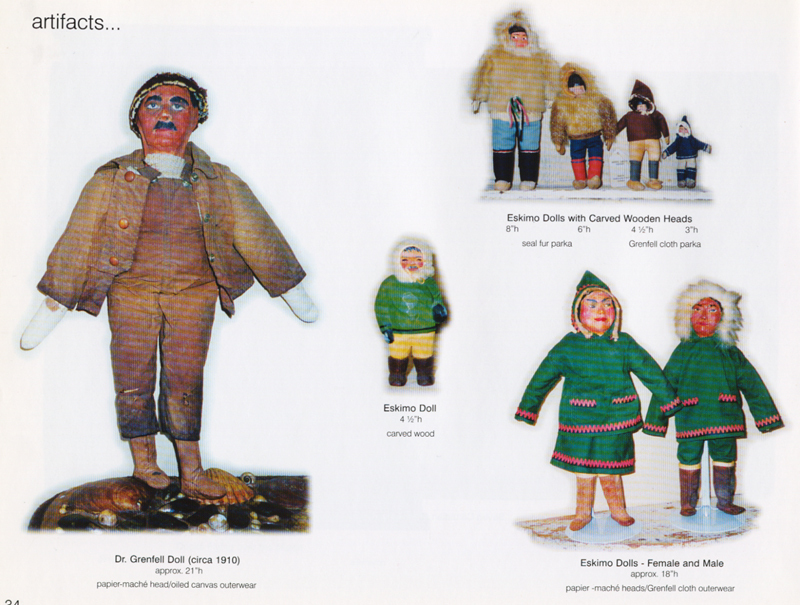 My dream?- to have my collection return to St. Anthony, Newfoundland where it all began 100 years ago. Wouldn’t that be wonderful? 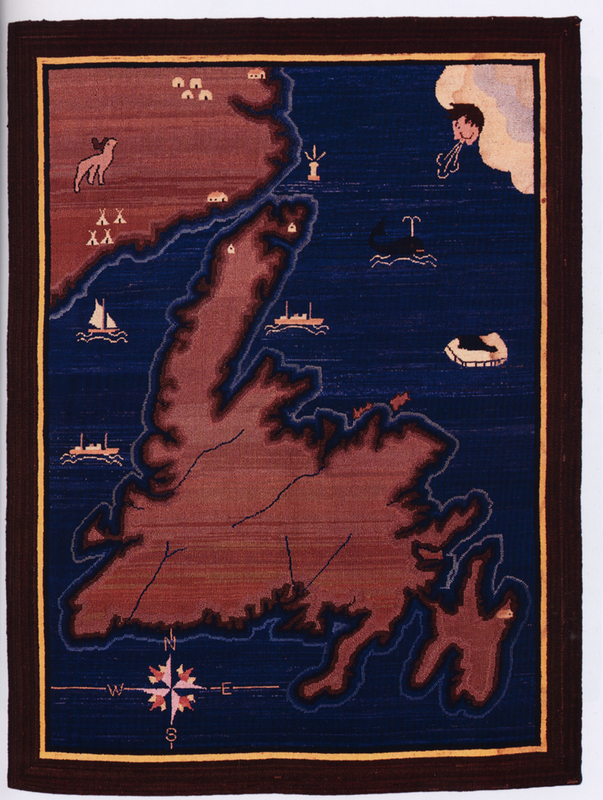 Well, wonderful things do happen, as the entire collection was sold on opening night to a Newfoundland museum. A prime example of the importance and contribution to our national heritage that a dedicated collector can make. “The Grenfell Mission provided some of the earliest permanent medical services in Labrador and northern Newfoundland. 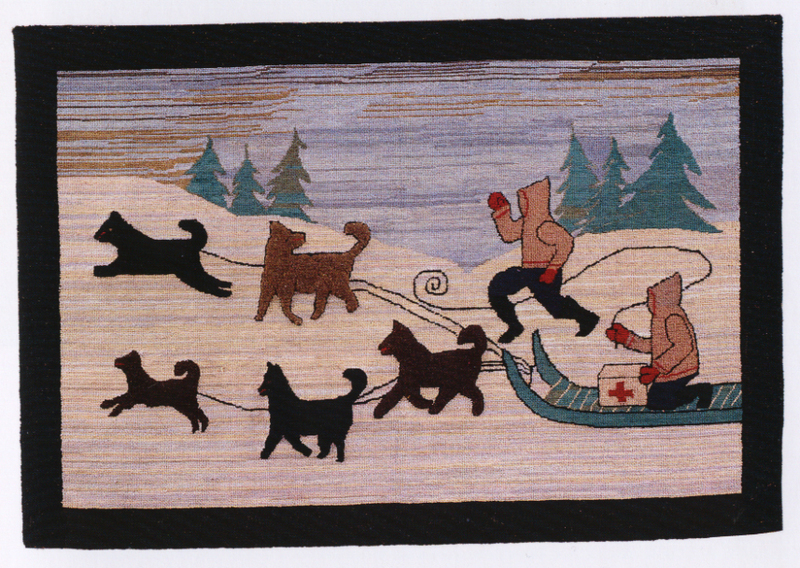 Before the mission opened its first hospital at Battle Harbour in 1893, almost no health-care resources existed in the area – hospitals were nonexistent. Alongside its medical endeavours, the mission sought to make other social changes, specifically in the areas of education, agriculture, and industrial development. To this end, mission workers built schools and helped establish lumber mills, community farms, co-operative stores, and a commercial handicraft industry to create alternative sources of income. British medical missionary Wilfred Grenfell arrived at Labrador in 1892 to investigate living conditions among local fishers for the United Kingdom’s National Mission to Deep Sea Fishermen. Shocked by the area’s widespread poverty and almost complete absence of medical resources, Grenfell spent the next year raising money at St. John’s and England to establish regular health-care services in Labrador. The mission opened a hospital at Battle Harbour and began construction on another at Indian Harbour. It also acquired a second hospital boat, the Princess May, to help medical personnel service fishing stations and coastal communities. From Wikipedia we learn “The Grenfell Mission established a Village Industry Department prior to 1930. Artists came from abroad to support the artistic endeavors of the residents of northern Newfoundland and Labrador. Carol Telfer did an excellent job of summarizing the Grenfell history in the catalogue with her two page essay “a brief history of the Grenfell Mission”. I suggest you buy the catalogue which is still available, but if you want to learn the complete history in precise detail you can go to http://www.grenfellassociation.org/who-we-are/history/ the international Grenfell Association site. The dedication to the catalogue reads “Dr. Wilfred Grenfell arrived on the north shore of Newfoundland more than a century ago. He was greeted by a shy, yet industrious people who inhabited a beautiful, but isolated land. They led a harsh existence. This catalogue- a visual tribute- is dedicated to the men and women of northern Newfoundland and Labrador, for the incredible works of art which they produced through the Grenfell Mission. May their legacy continue.